Victoria has 4,6 Millionen inhabitants on an area of 228.000 square kilometers (value in 1998). 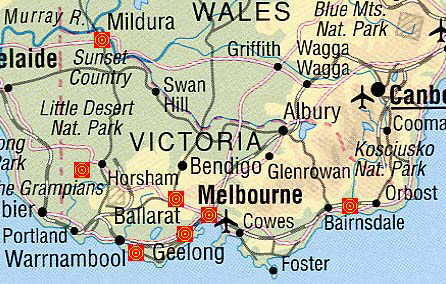 Victoria is certainly the part of Australia that is most influenced from Europe. Where Melbourne is situated today, the first settlement was built in 1835. Australia's second largest city Melbourne is dominating concerning vogue, food and culture.